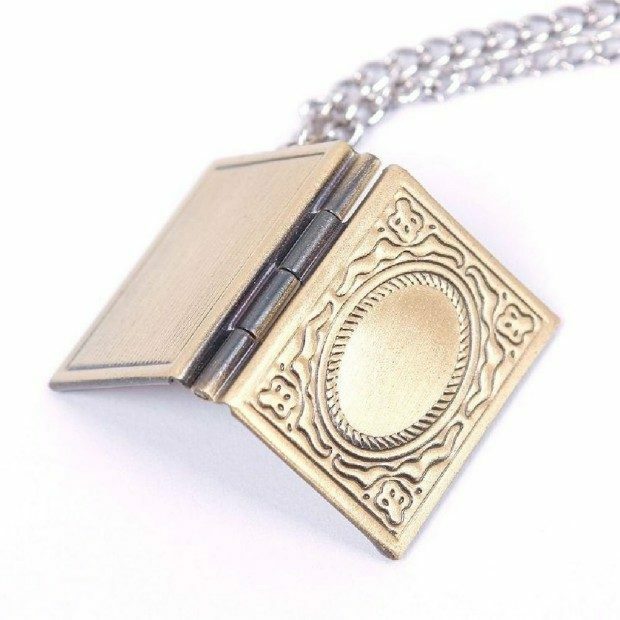 Bronze Book Locket Necklace Only $2.53 With FREE Shipping! You are here: Home / Great Deals / Amazon Deals / Bronze Book Locket Necklace Only $2.53 With FREE Shipping! Add pictures of you and your children reading together! Chain is approximately 17 inches long!